UnHackMe 9.90 was available as a giveaway on June 20, 2018! How would you improve UnHackMe 9.90? This is a surprisingly powerful program to have in your arsenal- IF you're in trouble. The problem: It's equally likely to land you INTO trouble. The program is excellent at rooting out little evil things that nest in the dark corners of your system, and showing them to you. The problem is- you've no way of knowing IF you're about to shoot yourself in the foot by choosing 'delete'. It offers to Google the suspect, but that's just as likely to lead you to falsehoods. Add to that, it implies a safety-net that doesn't really exist- by 'creating a restore point' before it takes action. The restore point will not restore the file(s) it's preparing to delete. My advice- download and install this, but DON'T run it until the day arrives where you're certain something's threatening your system, and your goal is to save your sinking ship and allow time for saving your critical files. Don't run this with expectations of maintaining a pristine, out-of-box Windows install, because you WILL cause the very havoc you're hoping to avoid. Installed fine and looks potentially useful. Will consider purchasing after trying it, now that Malwarebytes has gone to the annual subscription dark side. It would be nice if the author stepped up to verify if this is their freebie or premium version. dan, says there giveaway edition, pay 20.00 get premium after download give option to buy that. running now does find alot of legit software hopefully it will learn from the finds. greg, I saw no mention of 'premium' (just did a search on this page) until I installed it; just ran it and like you, it found a lot of false +s; but I need to read the manual the install pointed to (http://greatis.com/unhackme/howto.pdf); maybe then I'll see what the 'premium' version gets me. Heavy Water, I believe I left all the boxes checked and the gui displays GIVEAWAY edition with a button for GET PREMIUM, ao obviously I don't have the premium. I really have to RTFM to understand the benefits since I only installed it based on its reputation. It will only remove what you tell it to. For Bitdefender users. UnHackMe is compatible. And ... If it mark's something you know is safe just mark it as a 'False Positive.' It will only remove what you tell it to. Robert G......just mark it as a "False Positive". That is gambling on the unknown. Last time I used it it red flagged legitimate software, so it looks like it has a pretty high False Positive detection. 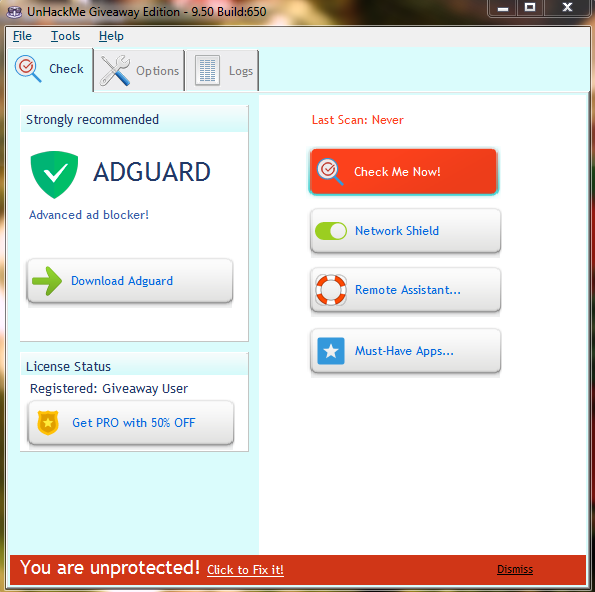 Personally, to detect malware in my system, I use Malwarebyte Antimalware for PUPs and the freeware AdwCleaner + RogueKiller + Emsisoft Emergency Kit + Kaspersky Virus Removal tool, which are altogether pretty much reliable programs. Nuff said. Last time I used it it red flagged legitimate software, so it looks like it has a pretty high False Positive detection. 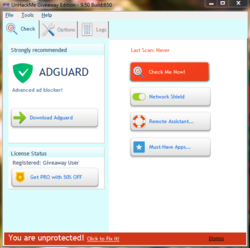 Personally, to detect malware in my system, I use Malwarebyte Antimalware for PUPs and the freeware AdwCleaner + RogueKiller + Emsisoft Emergency Kit + Kaspersky Virus Removal tool, which are altogether pretty much reliable programs. Nuff said. I had this software before, too many false positives! /it needs someone with experience to run it. Now if it was automated, and I had one like that from another company, and it literally destroyed my computer. So the dilemma is, with programs such as this is: on the pone hand you let the program do it all and make huge mistakes, or allow for experienced user and forget about the novice.....Software such as this has a long way to go for the novice. This is the giveaway version and looks like it's petty limited as to what it can do. I'm already running Kaspersky so I think I'll uninstall. I'm a coder. Last year I had a rootkit infection which redirected all my web browsers to multi spam pages and search engines. 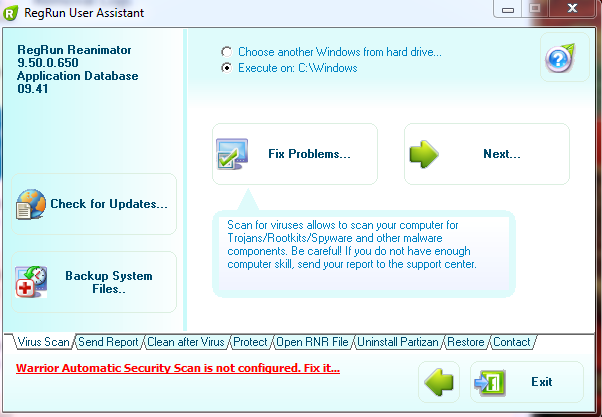 I tried many tools, including those specializing in rootkit, adware, virus removal. They did not work. Only this software worked. 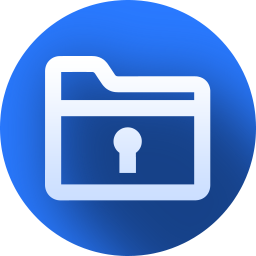 Download it, put it in a folder called: UnhackMe-Rootkit removal. Don't have to use or install it now. This has long been a recommended go-to on computer help forums worldwide -- though always with the caveat that it should only be used under the supervision of a forum expert and NEVER by anyone of average everyday IT ability acting on their own. The hand-holding is essential because UnHackMe is one of the most powerful -- some might say, "aggressive" -- apps of its type. Anyone thinking of installing and running it today really should stop and think first, because the issue here isn't "is UnhackMe competent at what it does?" but "am I competent enough in the ways of computing to actually manage it?" MikeR, Wholeheartedly agree with ALL your sentiments, this is like a combination of the radio-therapy and chemo-therapy toolkit of cancer treatments... potentially very useful but also easily fatal if used inapropriatly by the untrained or uninitiated. The worst this program has ever done is kill my internet connection.... but it's supposed to so it can thoroughly fix all the infections that might be on any OS. The fix to your internet connection is very easy. Just use MS own built-in repair tool and your internet is quickly fixed and everything is back to normal. I put both UnHackMe and Combofix right together to kill just about any infection that might be on anyone's OS. This is a great offer today. MikeR, You're correct Mike The worst this program has ever done is kill my internet connection.... but it's supposed to so it can thoroughly fix all the infections that might be on any OS. The fix to your internet connection is very easy. Just use MS own built-in repair tool and your internet is quickly fixed and everything is back to normal. I put both UnHackMe and Combofix right together to kill just about any infection that might be on anyone's OS. This is a great offer today. I totally agree with MikeR, but I'd advise the potential user- before you hinge your decision to install around the concept of 'competent enough' [in the ways of computing].....don't base you decision on your perceived level of "competence." You can be completely competent and still have no way of reliably discerning a potentially-unwanted-program from a legitimate, break-your-system, better-not-touch-me, executable or .DLL file....most-of-which have nonsensical names. Malware writers capitalize on this obscurity. The evil file is more likely to be named scannerdriver.dll while the ACTUAL scanner driver will be some idiotic, cryptic mess of a filename. You can be completely competent and still land yourself in trouble with this program. You've been warned. MikeR, I totally agree with MikeR, but I'd advise the potential user- before you hinge your decision to install around the concept of 'competent enough' [in the ways of computing].....don't base you decision on your perceived level of "competence." You can be completely competent and still have no way of reliably discerning a potentially-unwanted-program from a legitimate, break-your-system, better-not-touch-me, executable or .DLL file....most-of-which have nonsensical names. Malware writers capitalize on this obscurity. The evil file is more likely to be named scannerdriver.dll while the ACTUAL scanner driver will be some idiotic, cryptic mess of a filename. You can be completely competent and still land yourself in trouble with this program. You've been warned. Do not be naive, this software works only on known name viruses, do you think a hacker does not knows about the d-base and the list that this software tracks, a hacker just needs to change one character of a known virus name and attack you easily, without interference from this software. Furthermore, you have to be infected with a known virus name and then you may try your luck, after the fact, if you can get into your computer that is. This software does not protect you from being attacked or infected at all. Do not be naive, this software works only on known name viruses, do you think a hacker does not knows about the d-base and the list that this software tracks, a hacker just needs to change one character of a known virus name and attack you easily, without interference from this software. Furthermore, you have to be infected with a known virus name and then you may try your luck, after the fact, if you can get into your computer that is. This software does not protect you from being attacked or infected at all. very thanks for this version !!! 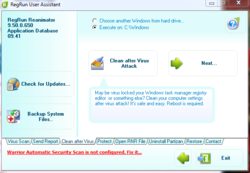 So, you are running two antivirus programs at the same time: Kaspersky antivirus and Panda Dome Complete? As far as I am correct, running two antivirus programs on the same system is not a good idea, because they are eating up its resources, getting in each others way, and often causing corruption of the system, and at best- will slow down your machine. alireza, So, you are running two antivirus programs at the same time: Kaspersky antivirus and Panda Dome Complete? As far as I am correct, running two antivirus programs on the same system is not a good idea, because they are eating up its resources, getting in each others way, and often causing corruption of the system, and at best- will slow down your machine. I have at least 6 antivirus programs on my laptop. i don't run them at all times but I do run them consecutively to clean what others have perhaps missed. The eset nod32 found ransomware files that were on my computer that others did not find and it deleted them. just because we have 2 or more programs doesn't mean that they are running at the same time. consuella, I have at least 6 antivirus programs on my laptop. i don't run them at all times but I do run them consecutively to clean what others have perhaps missed. The eset nod32 found ransomware files that were on my computer that others did not find and it deleted them. just because we have 2 or more programs doesn't mean that they are running at the same time. Bill: There's quite a difference between security software that only works after-the-fact of an infection (passive) and Real Time software which recognises and stops the infection from occurring in the first place (active.) A multiplicity of passive anti-virus (more accurately, "anti-malware") defenses on a computer, whether actioned sequentially in diagnostic scans or not, isn't much of a defense. By all means, use a diagnostic if it's suspected that a Real Time defense has been breached, but installing a variety of 'em on the same machine is no different to fitting numerous padlocks to a stable door. . . after the horse has gone. Bill: There's quite a difference between security software that only works after-the-fact of an infection (passive) and Real Time software which recognises and stops the infection from occurring in the first place (active.) 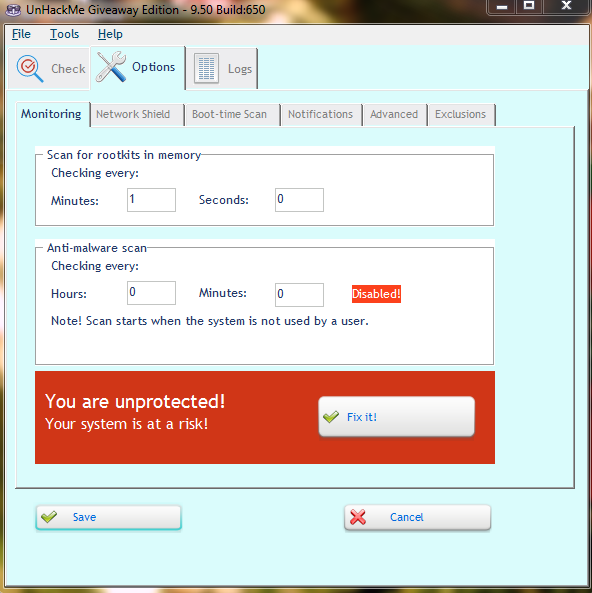 A multiplicity of passive anti-virus (more accurately, "anti-malware") defenses on a computer, whether actioned sequentially in diagnostic scans or not, isn't much of a defense. By all means, use a diagnostic if it's suspected that a Real Time defense has been breached, but installing a variety of 'em on the same machine is no different to fitting numerous padlocks to a stable door. . . after the horse has gone. NOT sure if they are "running" at same time.........both scan on demand and "go to cloud"........I've done several at same time with NO problem. THEY do hog resources while running though. consuella, NOT sure if they are "running" at same time.........both scan on demand and "go to cloud"........I've done several at same time with NO problem. THEY do hog resources while running though. I was going to install it, but got cold feet after reading MikeR's comments. Anyone in this Forum can respond to MikeR' s concerns? I was going to install it, but got cold feet after reading MikeR's comments. Anyone in this Forum can respond to MikeR' s concerns? drvajra, Both MikeR and dadams are issuing more words of wisdom than concerns. This is a powerful software, and if you don't know exactly what to allow it to leave and remove after a scan, it could remove necessary items. My advice is to tread slowly using it until you get the handle of it and read the comments, from the last GOTD, that dadams posted a link to. DJ, I've installed this and it is very aggressive in it's scans, but it does not delete anything unless you select it to be deleted (or fixed) and this is where the problems can start. If you simply check a box and opt for the item to be removed there is a chance you remove something needed by your system. You can however look up any of the items it lists and decide for yourself. Obviously if you are unsure the best thing to do is to leave the suspect file alone and do some research. I'd say that this software does what it's supposed to do but is aimed at users with a good solid understanding of IT and probably best avoided by less knowledgeable users. If you are going try this I would strongly you back everything up first so that if it goes belly up you can restore your system. Scanning is quite slow, but due to the fact the scan is deep , which it needs to be to find the nasties hiding in your system. From my tests I find it good and easy to use, my biggest dislike is the UGI, it's ghastly but I can live with it. Wouldn't recommend for users with limited knowledge, more advanced users should find it very good. BACKUP BEFORE USING!!! DJ, I've installed this and it is very aggressive in it's scans, but it does not delete anything unless you select it to be deleted (or fixed) and this is where the problems can start. If you simply check a box and opt for the item to be removed there is a chance you remove something needed by your system. You can however look up any of the items it lists and decide for yourself. Obviously if you are unsure the best thing to do is to leave the suspect file alone and do some research. I'd say that this software does what it's supposed to do but is aimed at users with a good solid understanding of IT and probably best avoided by less knowledgeable users. If you are going try this I would strongly you back everything up first so that if it goes belly up you can restore your system. Scanning is quite slow, but due to the fact the scan is deep , which it needs to be to find the nasties hiding in your system. From my tests I find it good and easy to use, my biggest dislike is the UGI, it's ghastly but I can live with it. Wouldn't recommend for users with limited knowledge, more advanced users should find it very good. BACKUP BEFORE USING!!! Robert, As I stated to drvajra, tread slowly..looking up items does not always answer questions for people. My advice to a person is if you are unsure, leave it alone until you are sure. Also as far as the interface, I look at the job the software does, not how nice it looks. Robert, As I stated to drvajra, tread slowly..looking up items does not always answer questions for people. My advice to a person is if you are unsure, leave it alone until you are sure. Also as far as the interface, I look at the job the software does, not how nice it looks. DJ, the GUI comment was just be being fussy, as for the using the software I have absolutely no concerns whatsoever, but I am a qualified IT technician but your advice is still holds good, but I think I already said that in my comment. FYI, I won't be keeping this as I don't really another anti malware piece of software on my machine, I was simply curious after reading some of the initial comments. after a scan, does it show a list of found objects AND lets me check what to delete/remove, and what not? Looks interesting. IMPORTANT concern: after a scan, does it show a list of found objects AND lets me check what to delete/remove, and what not? Eldad, Tread very slowly with this software..it is not an anti virus typical software..but to answer your question, yes it does list objects and allows user input. DJ, thank you. I am willing to try as long as there are no mandatory "automatic fix" or "One click fix", and I have a choice whether to delete any item, or not - I am happy to try it. Did down load and install without a problem on WinXP. Thank you very much for the program. DJ, thank you. I am willing to try as long as there are no mandatory "automatic fix" or "One click fix", and I have a choice whether to delete any item, or not - I am happy to try it. Did down load and install without a problem on WinXP. Thank you very much for the program. iwontell, Thank you - excellent advice and habit. I know about it, but am often too lazy to do it. Happily no major trouble ensued so far, but will try to follow your good advice in the future. In the same vein: I do back up my entire C drive (120G SSD) to another every few weeks (again should be more often!!! ), in case of a major melt down. Takes about 7 minutes to back up ~75G of data to another SSD, or about 20min to an regular HD. iwontell, Thank you - excellent advice and habit. I know about it, but am often too lazy to do it. Happily no major trouble ensued so far, but will try to follow your good advice in the future. In the same vein: I do back up my entire C drive (120G SSD) to another every few weeks (again should be more often!!! ), in case of a major melt down. Takes about 7 minutes to back up ~75G of data to another SSD, or about 20min to an regular HD. P.S. Meanwhile installed and ran UnHackMe, ran fast and showed many results, - ALL false positives, all were legit installed software. Will keep it to use in case I suspect a real infection - responders here wrote that it is excellent in case that happens. An abominable piece of Software. Amateurish in the extreme considering how long it has been around! What is its actual purpose? It doesn't do anything well. 4 False Positives - what a waste of time.